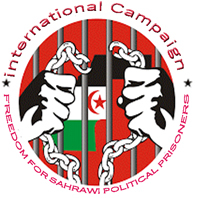 El-Aaiun (Occupied Territories), January 27, 2019 (SPS) - The Association of Protection of Sahrawi Prisoners in Moroccan Prisons (LPPS) has congratulated the Sahrawi people and Sahrawi political prisoners on the release of the first group of Sahrawi students from Moroccan prisons, in a message. The first group of Sahrawi students who were released on January 25, included Omar Laagni, Salek Babeir, Nasser Amenkour, Wafi Wakari, Brahim Musayeh, Hamza Rami, Ali Sharki, Mohamed Rgeibi, Ahmed Baali, and Mustafa Bouregaa. They spent an unfair sentence of three years in Moroccan prisons, where they transferred to Moroccan prisons in Marrakech, Ait Melloul, Bouzkarn and Tiznit, on charges and fabricated files in retaliation for their activism and political positions in favour of self-determination and independence.